The abbreviation mAh stands for milliamps per hour and is the unit that indicates how long (per hour) the power bank can deliver a certain amount of current (mA). A standard adapter with a smartphone has an output of 1000 mA. When you charge your smartphone for an hour, your smartphone contains 1000 mAh. With a power bank of 10,000 mAh you can then charge your smartphone 10 times. The difference between power banks. Each power bank has its own capacity and that shows how often your electrical appliances can be charged with your power bank. A power bank with more capacity (mAh) can therefore charge your devices more often compared to a power bank with less capacity. Some electrical appliances consume more power and therefore require a higher capacity charger. 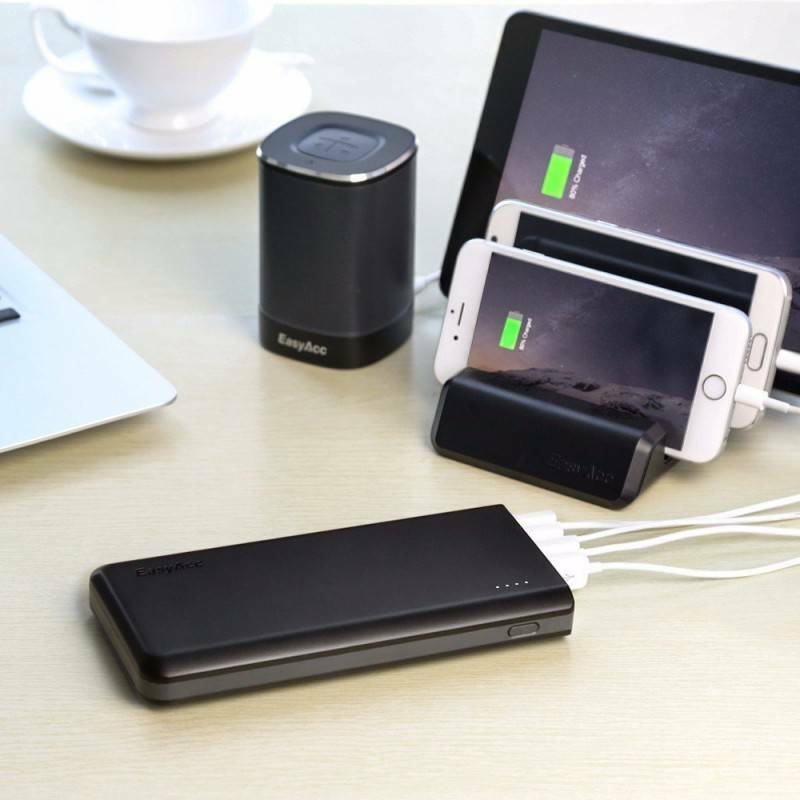 For example, a 40,000 mAh power bank is suitable for charging your Macbook or Laptop where other power banks can not. How often can I charge my phone with a power bank? The number of times you can charge your smartphone, tablet or laptop with a power bank depends on the capacity of the battery. You can easily calculate how often your devices can be charged with a power bank when you devide the capacity of the power bank by the capacity of your electrical device. For example: Capacity smartphone is 4000 mAh and power bank 12000 mAh. Then you can divide 12000 mAh by 4000 mAh and the answer is three times.